Welcome to the MBBA The Michigan Business Brokers Association is a non-profit organization whose primary purpose is promoting confidentiality, ethics, and cooperative communication among Professional Business Brokers in Michigan. The practice of business brokerage, by its very nature, demands that a professional Business Broker possess an acumen for business operations and a respect for confidentiality well beyond that of non-business general practitioners in real estate or commercial fields. The united effort of informed and educated professionals insures the highest standards, ethics and efficiency when marketing and selling businesses. The organization was incorporated in 1983 to experience the benefits of group synergism with the end goal of better serving the MBBA Member's respective clients. Join us in promoting confidentiality, ethics, and cooperative communication among Professional Business Brokers in Michigan. Access for our members to the wealth of information that MBBA has to offer. Knowledge is power! 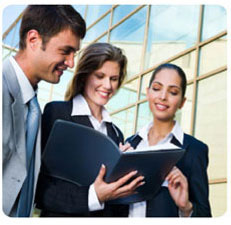 MBBA provides its members with seminars and classes certified by the State of Michigan.